Change the logotype, background, and all the colors to customize your Mentimeter presentations. 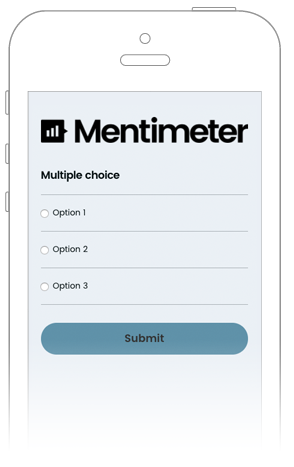 With Mentimeter Pro, Teams or Conference plans, you can create your own themes to style your presentations. Do note that editing a theme in one presentation means that it will also be updated in any other presentations where you use the same theme. The changes you make are automatically saved. If you have a Team account, your themes are shared with your team so that you can all brand your presentations in the same way!